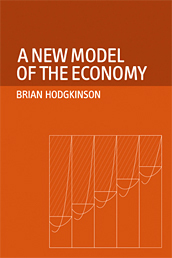 Brian Hodgkinson, after qualifying as a chartered accountant in the City of London, won a scholarship to Balliol College, Oxford where he took a first in Philosophy, Politics and Economics and won the university George Webb Medley Prize in economics. After five years lecturing in the Social Studies School at Sussex University, he became the Head of Economics at Dulwich College and then at St James Schools in London. As the founder editor of the journal British Economics Survey, he kept in touch with applied economics and questions of public policy. At the same time his studies at the School of Economic Science in London introduced him to a radically different approach, which after many years of research, has borne fruit in A New Model of the Economy. Economists today employ ‘flat-earth’ models, which are totally unrealistic. They ignore the huge influence of spatial location, which gives rise to economic, or Ricardian, rent. 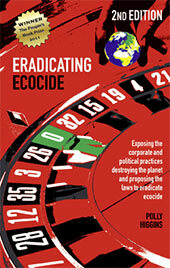 This has expanded proportionately to the continuous growth of most economies, and profoundly affects how they operate. A New Model of the Economy incorporates into both micro- and macro-economic analysis this basic and universal feature, thereby bringing economic theory into much closer touch with reality. Such phenomena as shortcomings of public finance, gross disparities of wealth and income, regional problems, the recent difficulties of sub-prime mortgages and much else become explicable with reference to the introduction of rent into the analysis. 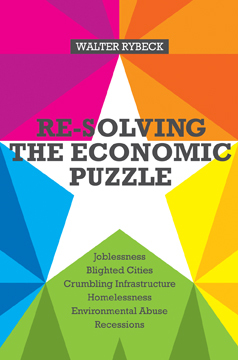 This book offers a radical revision of modern economic theory. Its starting point is the existing body of both micro and macro economics, as developed in such textbooks as Economics by Begg, Fischer and Dornbusch and Positive Economics by Lipsey and Chrystal. Following a similar framework to these books, it adjusts the whole range of theory by introducing some new concepts and other earlier ones that have been much neglected in the economic thought of the past century. These are related especially to the fundamental part played by land, in it proper sense of all natural resources available on the earth, the significance of credit, especially through the banking system, and the crucial impact of the method of taxation. The resulting analysis yields a thoroughly revised version of the contemporary model of a capitalist economy, so that a genuine ‘third way’ is revealed. This is not a mere modification of the present system of absentee ownership confronting a market for labour, with all the attendant evils of unemployment, monopoly and maldistribution of wealth and income. Rather it is a system based upon natural law, exhibiting economic security for all, fair distribution of output and, above all, the opportunity for self-fulfilment through work. The ‘new model’ draws upon the masters of economic thought from Smith and Ricardo to Marshall, Schumpeter and Keynes, by highlighting concepts often omitted from current studies of their works; such as Ricardo’s analysis of scarcity and differential elements of rent, Schumpeter’s view of the role of banking and Keynes’s hints at a labour theory of value. Indeed this far-reaching revision makes bold advances upon the Marshallian theory of the firm and the Keynesian theory of national income determination, thus providing new insights into both micro and macro theory. It remains faithful, however to the tradition of these latter thinkers in explaining matters fully in words, and resorting to mathematics mainly through the use of diagrams intelligible to anyone with an elementary grasp of the subject. Whilst the book strives to avoid value judgements in the interests of social science, it undoub-tedly carries strong implications about economic policy. These are bound up with the central notions of free land and free credit, which have been singularly ignored by policy-makers since a few valiant attempts to introduce them in the early twentieth century. Hence the ‘new model’ is offered to both theorists and practitioners of economics, to politicians and public servants, but particularly to those who, like the author, truly seek a new vision of the subject.